Or pouf. There is some debate as to what is correct. I’ve always called it a loofah, but apparently the correct term is actually a pouf. A loofah (or luffa) is a plant that grows in such a way that it resembles a sponge and can be used as such. I know this, but I’m going to chose to call it a loofah. (I’m from the South, we use different words for lots of things, and we’re not good at change.) So today, we’re making a loofah. A million years ago, when I was in high school, I had knee surgery. (I had knee surgery twice, but that’s a story for another day.) Someone brought a lovely get-well gift basket of lotions and body washes from Bath & Body Works, and it included an organza bath loofah (pouf!). I used that loofah for, well, a very long time, longer than one should probably ever use a loofah – throughout college, our first apartment in California, it may have even made it in the move to our first house. I loved that loofah! Then one day, when I got it out of the washing machine, I realized that poor old loofah really didn’t have much “umph” left, so I set out to buy a new one. 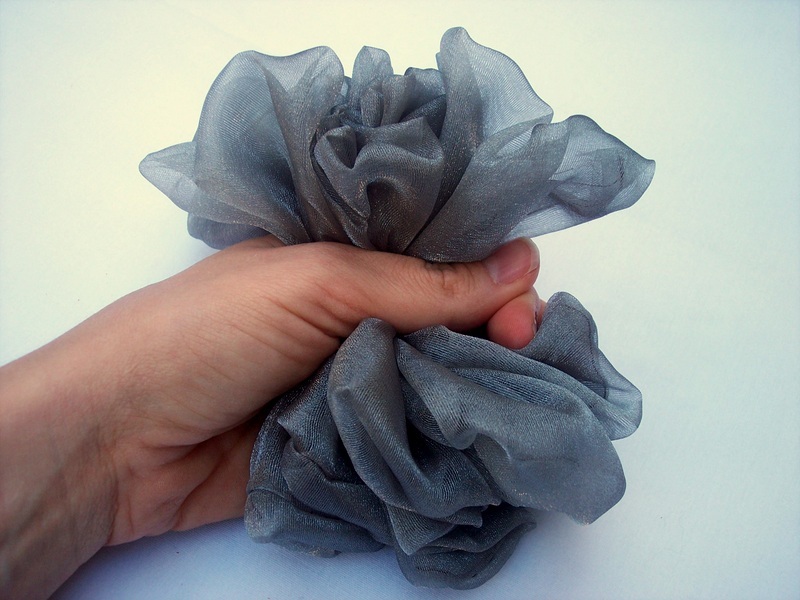 Turns out it’s very hard to find organza loofahs. Now, there are plenty of mesh ones that you can find at every corner drugstore. So I settled for the mesh. And while it was okay, I started noticing little bumps on my legs when I used it, and honestly, it just wasn’t the same. So I decided to make my own. How hard could it be? And good is good enough when it comes to bath loofahs. 3. 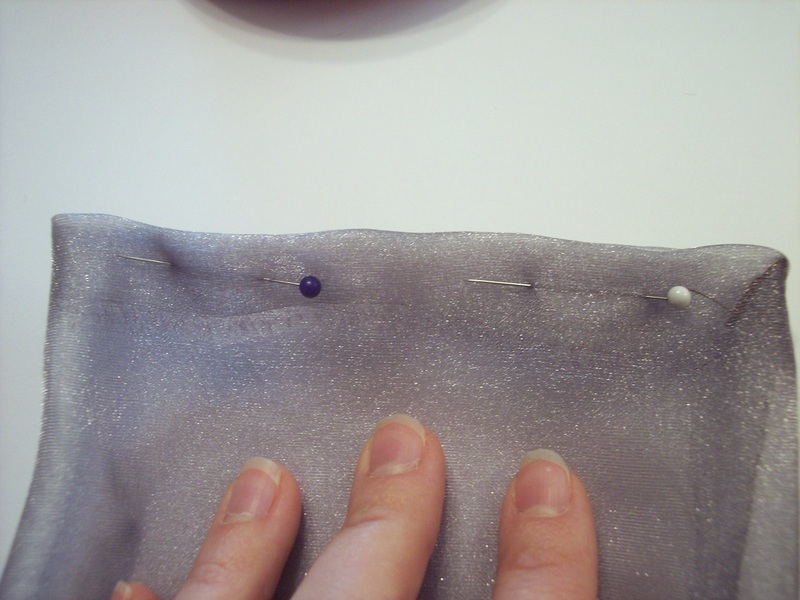 Stitch two sides of “tube” closed – the long side and one of the short sides – to create something that resembles a long, skinny pillowcase. 4. Turn inside out. 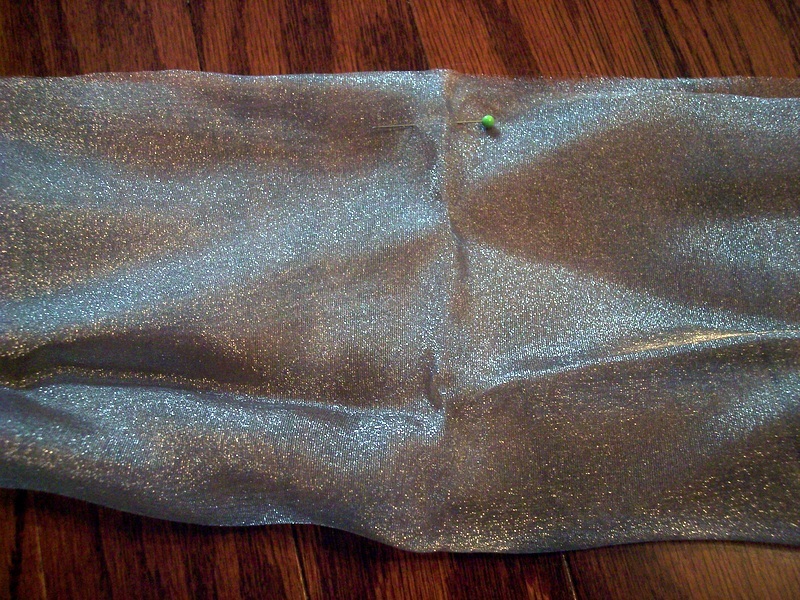 Fold the other (open) short side edges in and pin. Stitch this side closed. There should now be no open sides and you should have a 6″ X 60″ rectangle. 5. 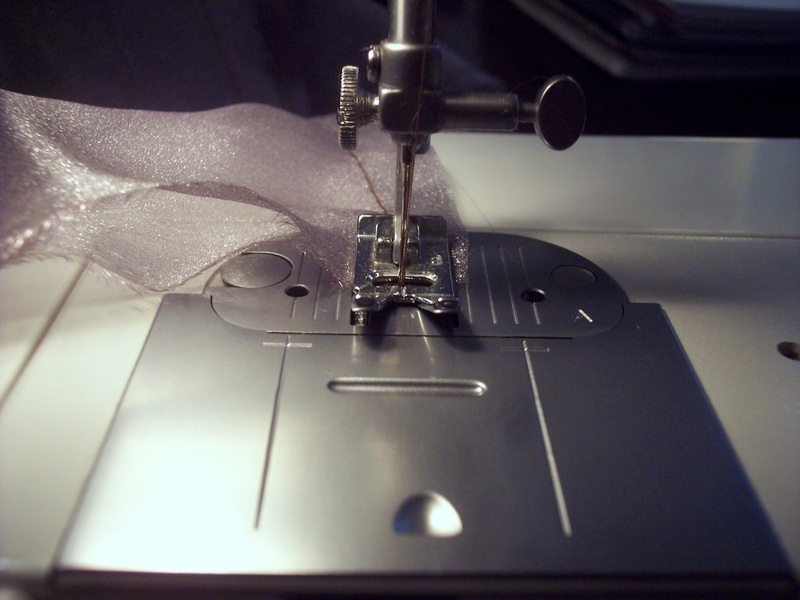 Start at the end you just stitched. Fold this end over about an inch, and then fold again. 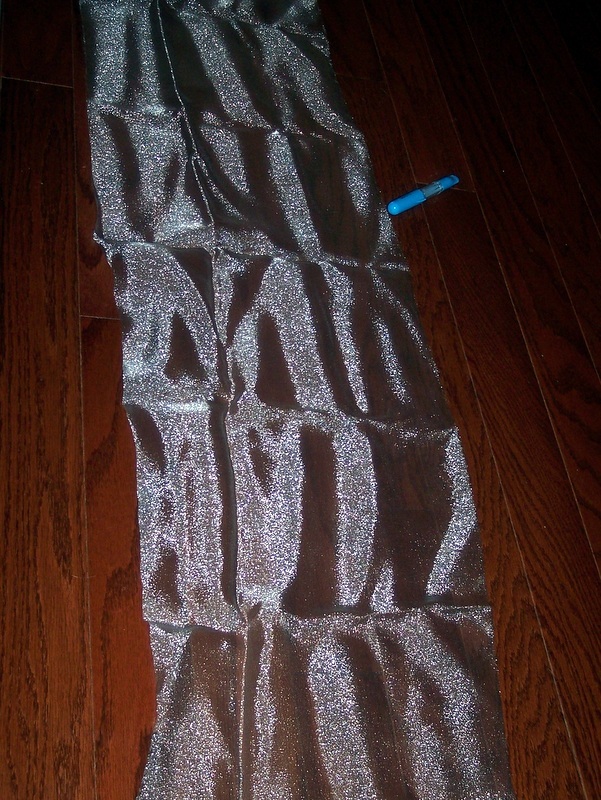 This allows the seam to be hidden. 6. 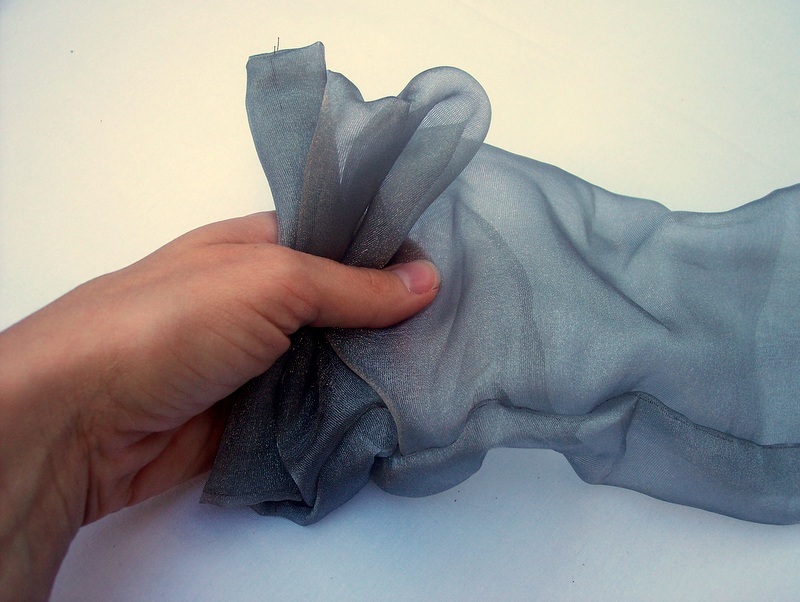 Start scrunching the rest of the fabric in your hand. Think of it as making the fabric into a bow tie, with fabric on each side and your fingers holding the fabric together in the middle. 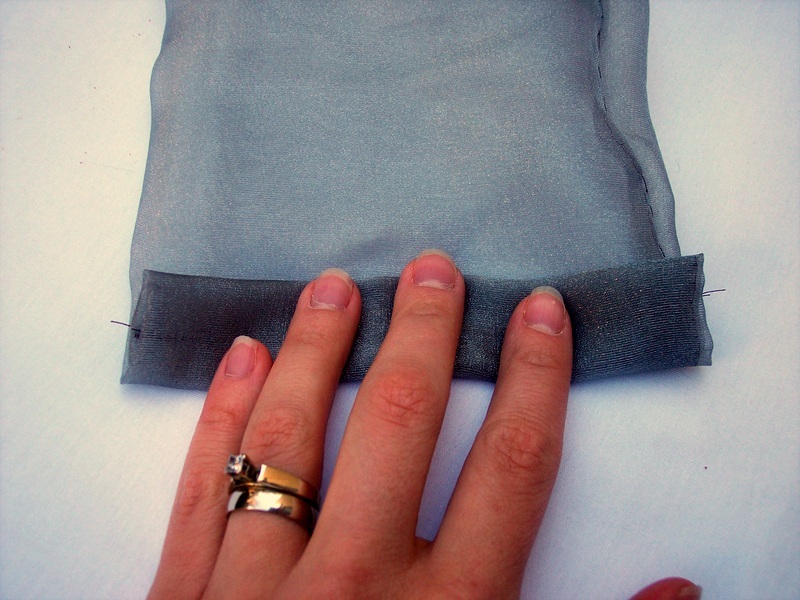 Scrunch until all of the fabric is gathered into your hand. 7. 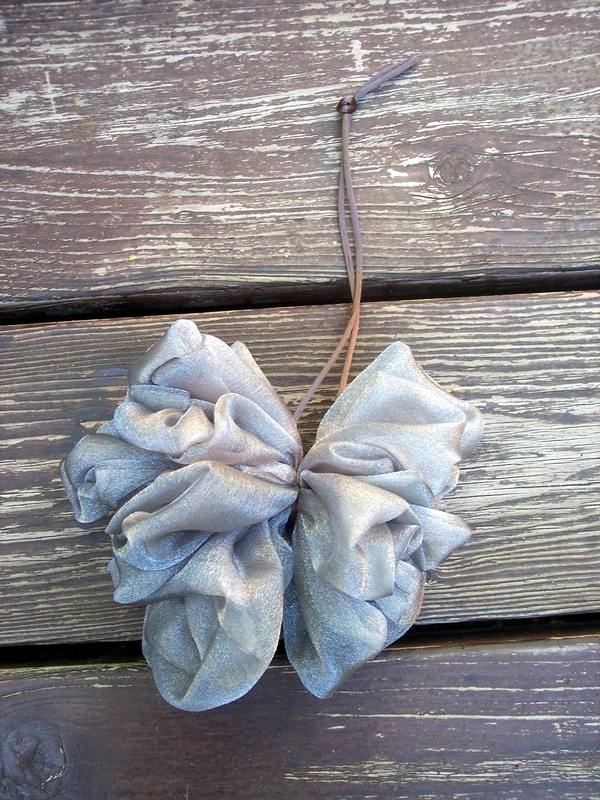 Now, I did not think of this step until after I had completed this loofah. (Yes, it took 4 times of making loofahs before I came up with this step.) 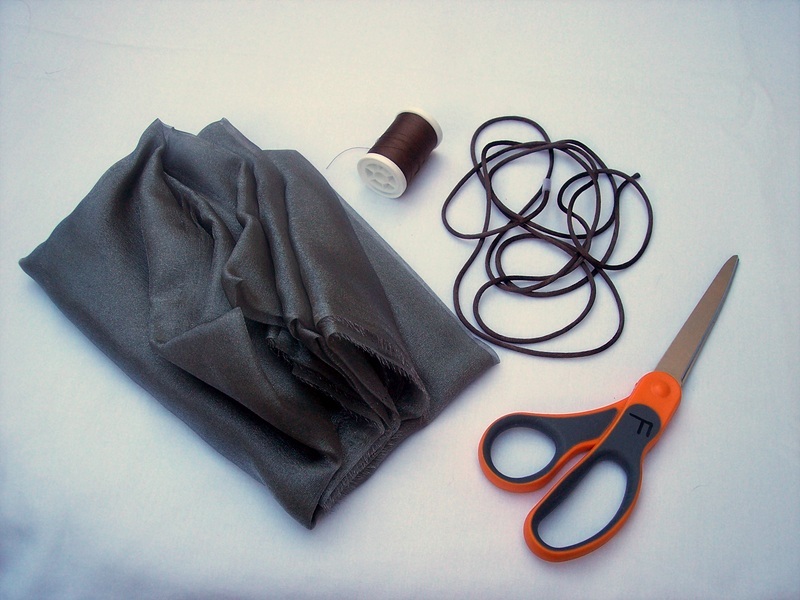 Wrap a rubber band several times around the middle of the fabric to hold it together. 9. 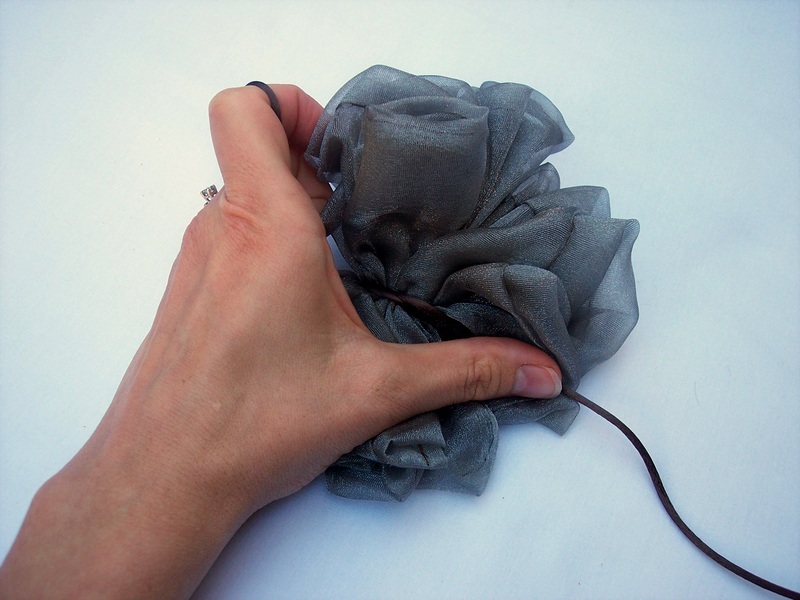 Put another knot in the end of the cord to create a loop to hang it up in your shower. What I love about making my own is that you can find organza that coordinates with your bathroom. And what good-ol’-Southern girl doesn’t love color-coordination? 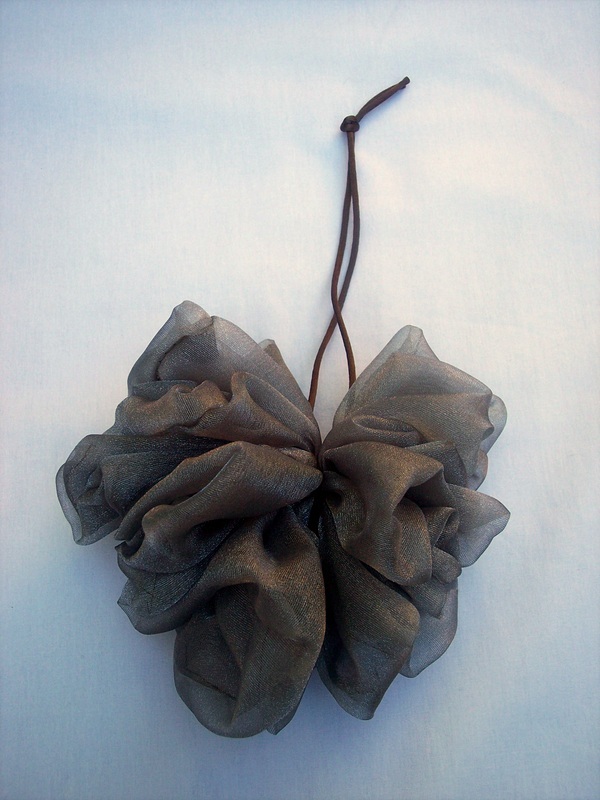 I love the organza loofah idea. Who gave you that basket? I know that I am not a DIY person, but I like reading about all your cool ideas…. Great job for blogging for 31 days!